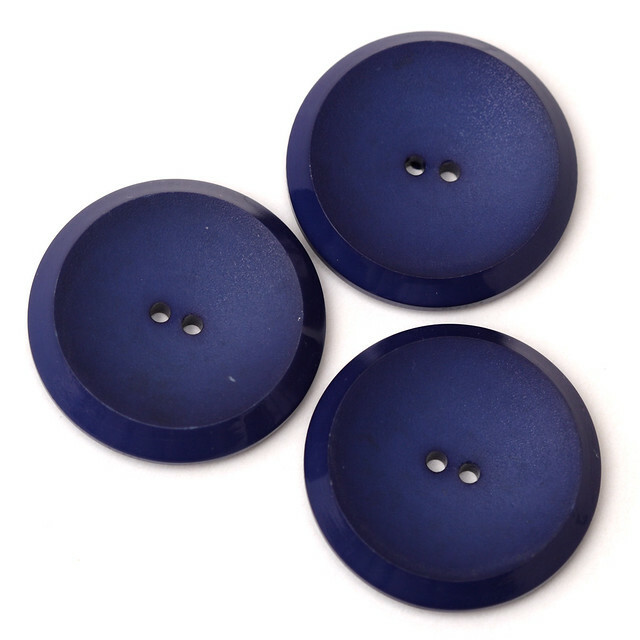 Good quality, large buttons in dark blue plastic with a textured finish. Part of a collection of buttons from 1950s and 60s that I inherited. 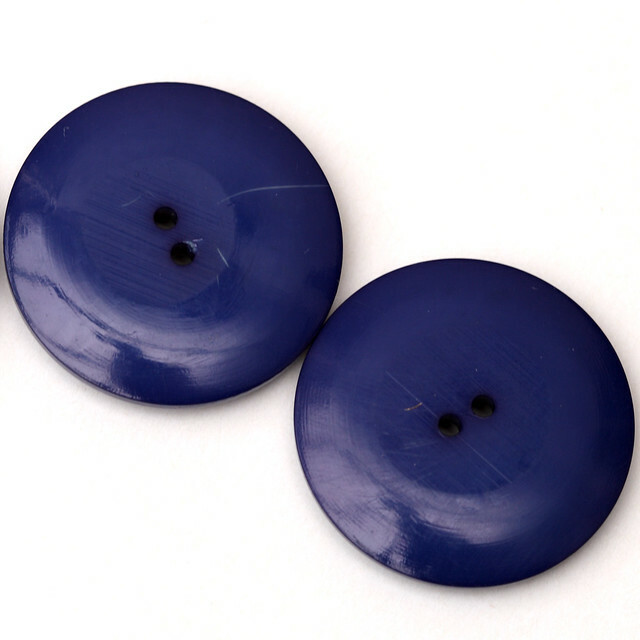 Each button measures approx. 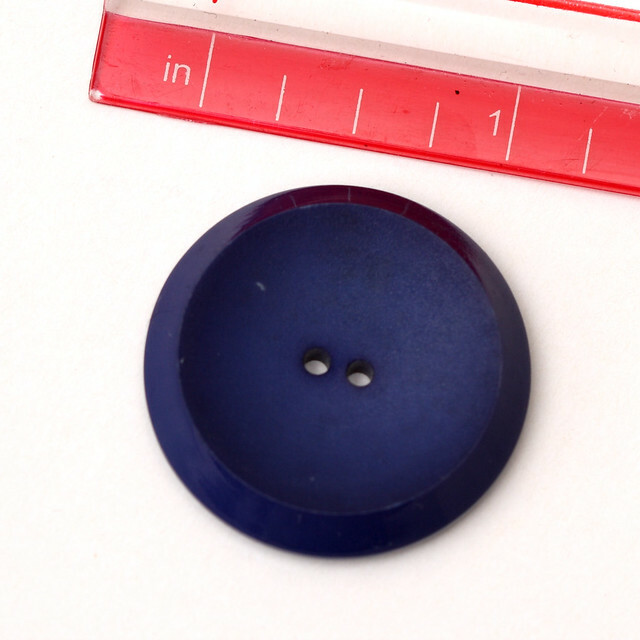 30mm, 1 1/4″ in diameter. Excellent condition.